The single biggest sum, $318 million, will go to restore land and marsh on four barrier islands off Louisiana’s rapidly eroding coast: Chenier Ronquille, North Breton Island, Shell Island and Whiskey Island. “When we rebuild barrier islands like North Breton, we’re also strengthening coastal resilience, making a smart long-term investment in the face of climate change and increasingly frequent storms,” U.S. Interior Secretary Sally Jewell said in a written statement. Jewell toured the island last year. There’s also a $65 million series of “living shorelines” projects in Alabama, Florida and Mississippi aimed at reducing erosion, creating oyster reefs and restoring marshes. The largest of those is a $50 million, 6-mile breakwater of stone and oyster shell in Mississippi’s Heron Bay. Environmentalists remain unhappy about Alabama’s plans to spend $85.5 million at its Gulf State Park in Gulf Shores. Some of that money will help restore 50 acres of dunes at the park. But $58 million will go toward replacing a beachfront hotel that was destroyed by 2004’s Hurricane Ivan and building a conference center. State officials have long sought such a development to encourage more convention business. The trustees, in their final report, rejected claims that the state park hotel would hurt the environment, saying construction would be confined to the disturbed area where the former hotel stood. They wrote that the “project represents a significant step toward replacing the substantial recreational services lost during the oil spill.” They also asserted it would not need a separate environmental impact statement, despite concerns that its construction might harm endangered beach mice and sea turtles. 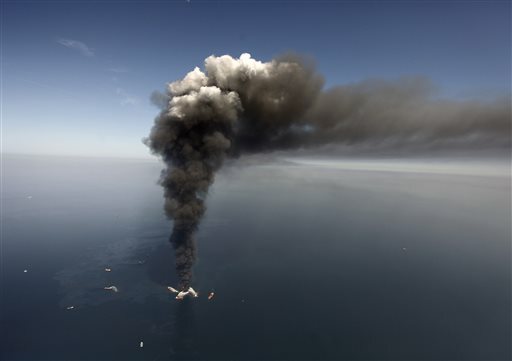 About $300 million of BP’s $1 billion remains, raising questions about whether more projects will be approved before BP and the federal government agree how much the company must pay for environmental and recreational damage. The Natural Resource Damage Assessment process is separate from Clean Water Act fines, but agreements on both could be reached in a comprehensive settlement. “My sense is that we will have an additional phase or phases of early restoration and all of the trustees remain committed to spending all of the $1 billion,” said Tom Harvey, a spokesman for the Texas Parks & Wildlife Department.